This morning, we traveled just outside Guatemala City to a city called Villa Nueva. 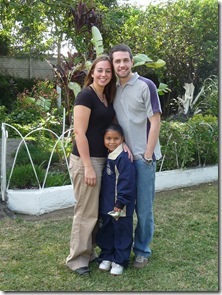 Little Alejandra was moved to a home in Villa Nueva called New Life Children’s Home. 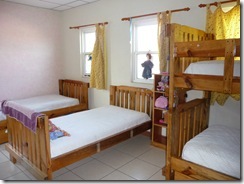 Like Casa Bernabe, New Life Children’s Home has a wonderful campus with loving staff members. In talking with the staff, the one thing that was mentioned over and over and over again was Alejandra’s beautiful smile. 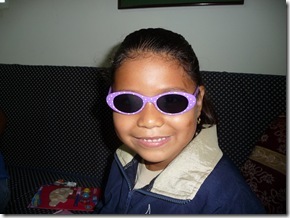 Despite the obscene abuses she has suffered, she has retained her innocence and joy. It seems as though she has completely repressed the tragic memories of her past. Obviously, there are a lot of issues that she will someday need to address. It would not be good to repress them forever. We were encouraged to hear that the staff is committed to helping her work through and deal with her past in a healthy way. 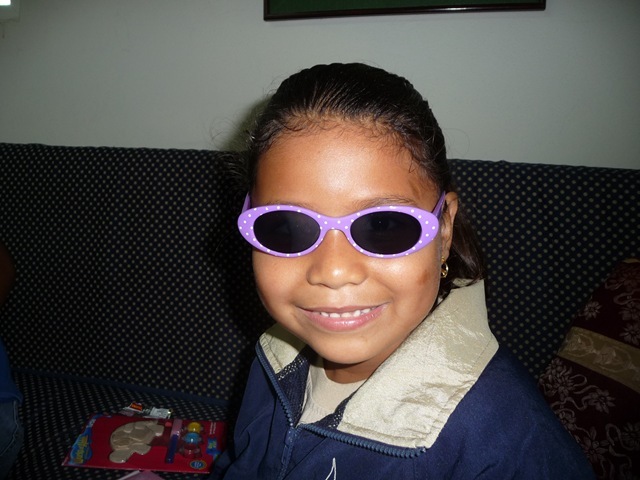 In the meantime, Alejandra is all smiles, hugs, and giggles. She celebrated her 7th birthday this past weekend by going to Taco Bell and riding on the train in the mall. Her actual birthday is on Saturday and the home will celebrate with chocolate cake and fireworks. We brought her a small gift for her birthday. She liked the crayons and art set, but her favorite gift was the princess photo album. She wanted to show everyone pictures of her hugging Chuck E Cheese and climbing the rock wall at the museum. She didn’t remember our names, but she did remember most of the names of the children at the Buckner Baby Home. She noticed that Estuardo and Isabel were in a few of her pictures. The staff told us that she is a joy and a treasure. 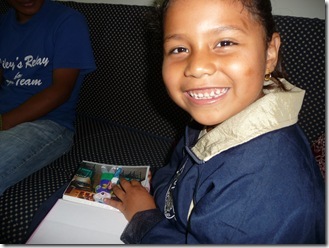 She quickly bonded with a little girl her age named Jenny (Yeni). Jenny didn’t have any other girls her age to play with before Ale came. Now, it seems as though the two girls are inseparable. 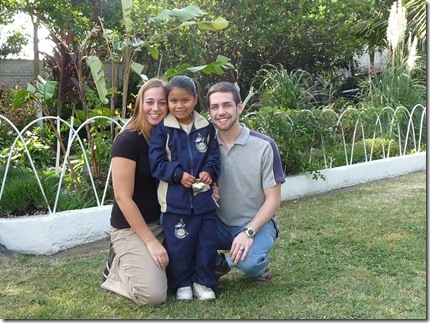 After seeing Ale and her home, we can’t imagine not going back. 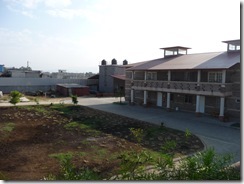 We are hoping to be able to visit both Casa Bernabe and New Life Children’s Home in April! P.S. Our main memory card is still out of commission. We’ll need to deal with it as soon as we get back. Again, we’d appreciate any help or advice you could send our way!